We believe a better way is needed to accurately describe the spectrum of associated injuries that commonly occur in conjunction with a radial head fracture. 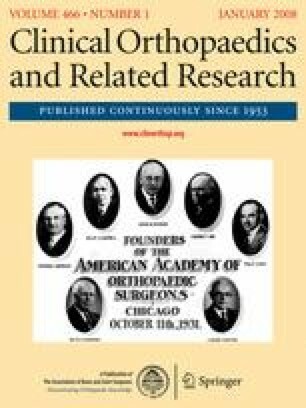 A review of our institution’s experience with 333 radial head fractures from 1997 to 2002 documented 88 (26%) associated injuries. Based on this clinical experience, our goal was to develop an accurate and comprehensive description of associated injuries. A shorthand suffix method first recognizes the type of radial head fracture with the traditional Mason classification, followed by abbreviations designating the articular injuries, coronoid (c) and olecranon (o), and the ligamentous injuries, lateral collateral ligament (l), medial collateral ligament (m), and distal radioulnar joint (d). The proposed system offers a logical and reproducible (98%) extension of the current Mason fracture classification to document the presence of additional articular and ligamentous injuries. This provides an opportunity to standardize the communication of fracture type with further details of other injuries that ultimately can help with better understanding of treatment outcome based on the precise injury complex. We acknowledge William S. Harmsen, MS, from the Mayo Clinic, Department of Statistics, Department of Health Science, for assistance in the evaluation of the data collected in this study.